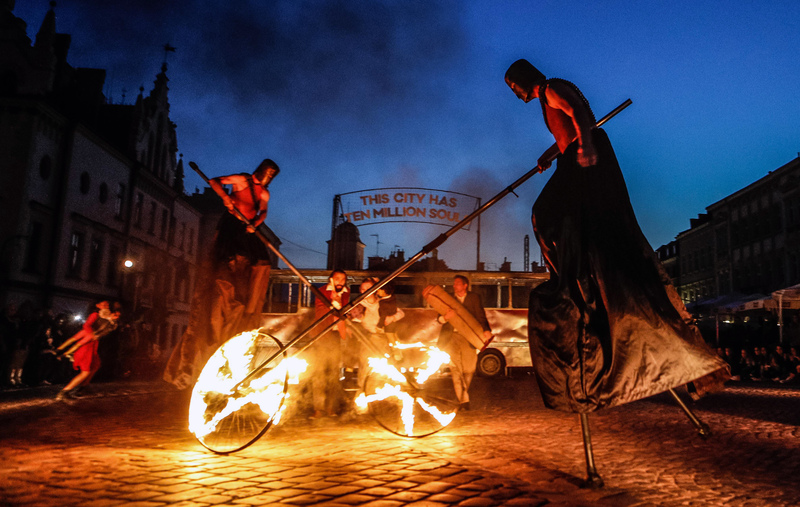 We welcome back to Edinburgh the extraordinary Teatr Biuro Podróży for the first time since we presented Macbeth and Planet Lem at Old College Quad as part of the Cultural Olympiad. We're presenting two shows – their new show Silence and the show which made their name in Edinburgh and across the world – Carmen Funebre. Carmen will be presented for just four performances. 23 years after the multi-award-winning Carmen Funebre, the acclaimed Company present the sequel. While Carmen explored the impact of war on civilians with the Bosnian conflict as the focus, SILENCE picks up the story of refugees caught in a spiral of violence and with their dreams of escape. Why do those who flee expose themselves to the dangers and humiliation of displacement? And why do atrocities in the Middle East and the exodus to “safety” in Europe, evoke such fear among Europeans? This politically charged outdoor production uses pyrotechnics, and stunning physicality to create extraordinary, memorable images. 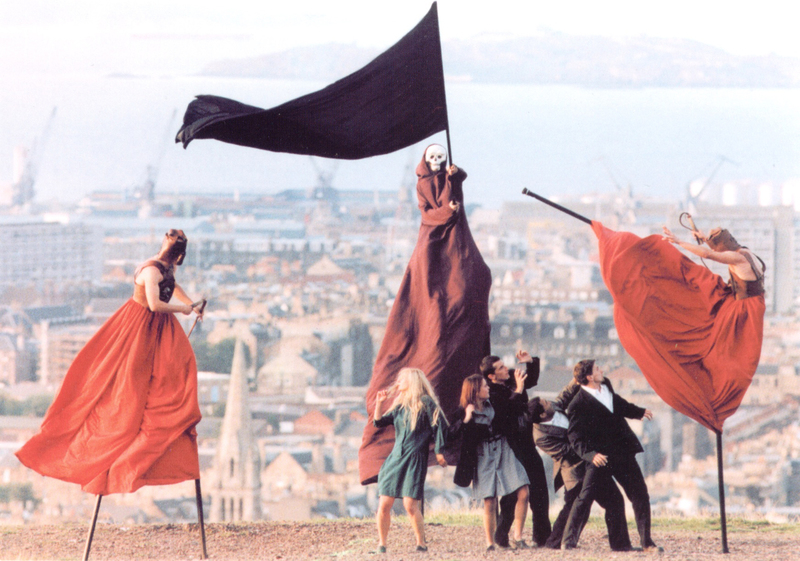 Presented to accompany Silence, the Company’s return to the subject of war and its impact on civilian populations, Carmen is the 1995 show that sealed its reputation for spectacular and haunting large-scale performances. Booking details to follow when show times are confirmed.